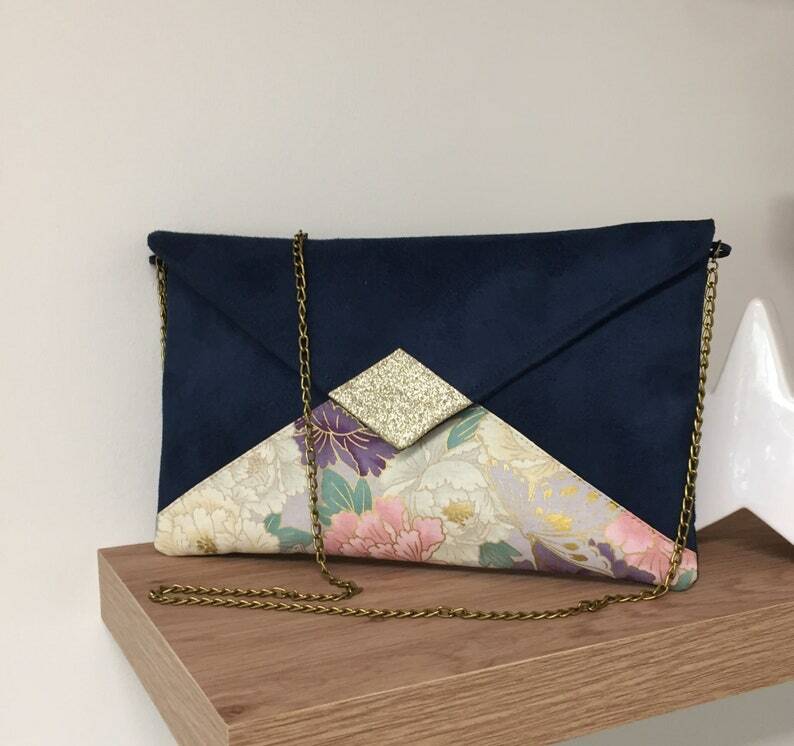 Evening clutch, Wedding clutch, Small handbag, Envelope clutch, Customizable shoulder bag, made of navy blue suede to a very soft touch, with a front panel insert made of real Japanese floral fabric with pink, purple and gold tints. Two options are possible: WITH or WITHOUT removable shoulder strap chain, it's up to you! it is lined in coordinated cotton fabric. 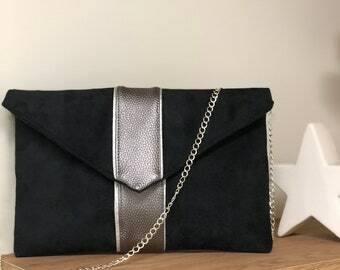 Its dimensions are: 17 cm X 26 cm . PERSONALIZATION: On request, I suggest you add your initials on your cover, in the desired place! You will receive it well protected and nicely packaged, ready to offer!